The latest Rapture & Verse monthly column written by Matt Oliver has just been published in the UK’s Monolith Cocktail. The column serves as a regular update of all hip hop and rap music news from around the world, album, EP, mixtape and single releases, events, videos, and the latest breaking news about artists from both sides of the Atlantic. Included in the new issue are Stig of the Dump, MF Doom, Tyler the Creator, Kutmah, Mr Lif & Akrobatik, Tanya Morgan, Action Bronson, Dave East and many more. In 2 weeks’ time, 14th April, north London Emcee & producer releases his new EP “Verbal sWARdz”, his first release since the Holla @ Braydz mixtape in 2012. In the main self produced it features his fellow Triple Darkness members and includes some international heat from Sean Price, Prince Po and Phat Kat, with further UK contributions from Kyza and Skriblah. They have a really wide level of coverage including music, events, art & graff, skate & bmx and much more. The owner Max Quinn has done an excellent job in representing the culture and you can easily tell that “the knowledge” is there given the in depth analysis provided. 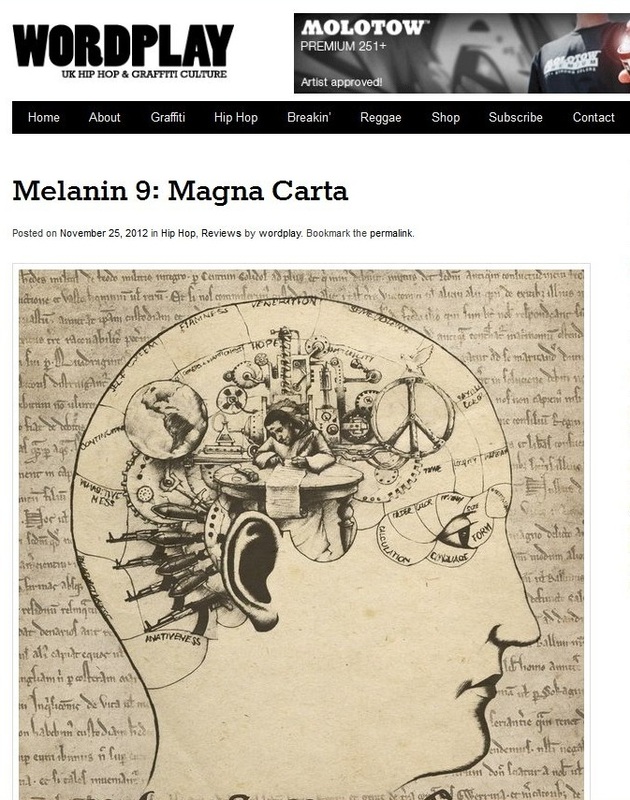 They’re the latest to cover Melanin 9’s new album Magna Carta which releases on 3rd December. 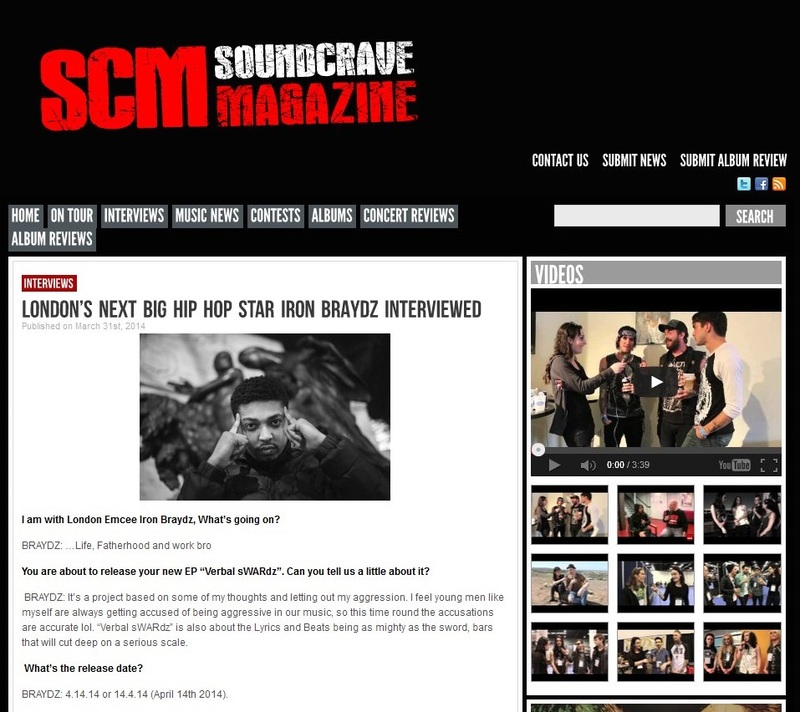 The feature covers the launch event last Friday at London’s Vibe Bar, provides some extra background information and history on the artist, you can also watch several of his videos and of course read a thorough review of the album itself. There will be a lot more coverage on this release coming over the next few weeks, including special video features, and an exclusive snippet stream of the entire album via Bonafide Magazine shortly. 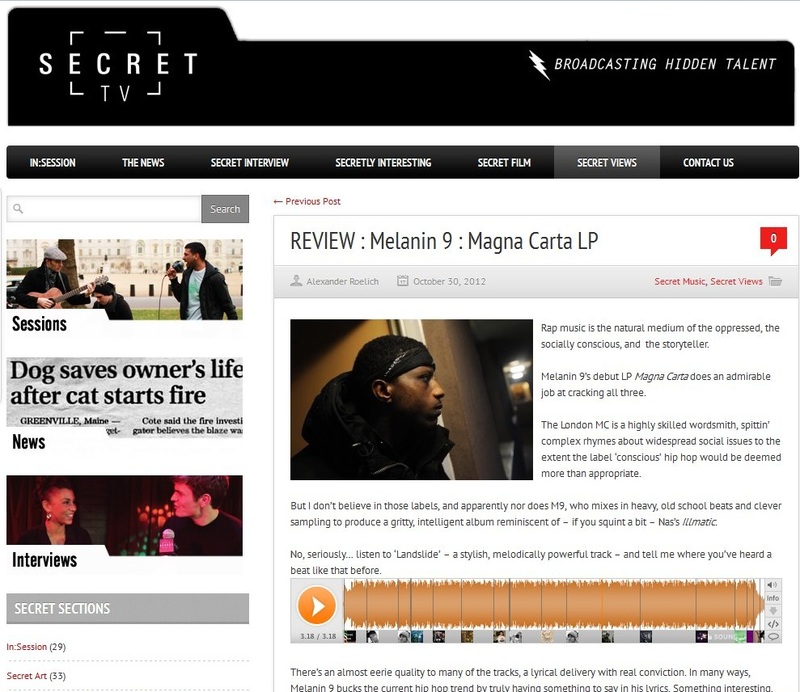 With the release of Melanin 9’s debut album coming up next Monday 3rd December, best get used to this as there will be a whole load of media coverage going live from both sides of the Atlantic and Europe in the next couple of weeks! Latest is the UK’s Wordplay Magazine who have a good range of content from hip hop releases and features, graffiti & paints, fashion and pretty much cover the whole hip hop culture.